We provide a unique web-based platform for geographic network analysis, data, visualisation and route-planning. Take the complexity out of geospatial software development with a toolkit that offers you a scalable, stable, foundation for building applications that leverage spatial data for geographies around the world. Create interactive maps for your business. Parcel data, flood maps, various satellite imagery available on desktop and mobile platforms. TerraView is a GIS application built using the TerraLib GIS library. TerraView main goal is to make available to the GIS Community an easy geographic data viewer with resources that include database queries and data analysis, exemplifying the use of the TerraLib library. The TerrSet system incorporates the IDRISI GIS Analysis and IDRISI Image Processing tools along with a constellation of vertical applications. ThinkGeo's GIS Editor for Windows lets you design stunning custom maps, perform geo-analysis and visualize your spatial data. With mapping that’s powerful enough for professional GIS technicians, yet accessible enough for nearly anyone who needs to create a customized map, the GIS Editor was created as a single-application solution to all of your GIS visualization, customization and mapping needs. ThunderMaps is a software which allows hazardous risk data to be shared through an online or mobile app platform. Users report and share data which can alert subscribers approaching risk areas. Library information can be embedded into external websites. tMap is a GIS software that is is an easy to use measuring application, with an advanced functionality. The program has been designed for the Android operating system and can be used on tablets, smartphones and other mobile devices (handheld). TNTedit software provides professional interactive tools to create, georeference, and edit project materials consisting of vector, image, CAD, TIN, and relational database objects. TNTmips software is a complete Geographic Information System (GIS) that lets you work with virtually any type of geospatial data including imagery, terrain surfaces, and map data with associated database attributes. Transportation Data Analytics is a GIS software that aggregates diverse data sets such as traffic counts, weather, infrastructure, mobile and accidents so that cites can understand movement and congestion. 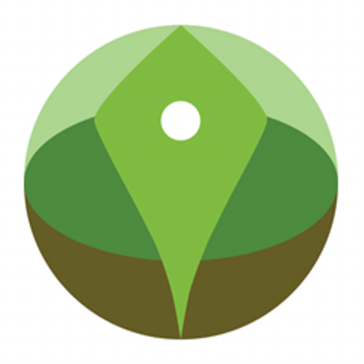 Variac GIS Geospatial is a solution that helps create a spatial map database that conforms to the specifications and requirements of your business. Visual Sales Manager is a web-based application for visually designing and managing sales territories. Web GIS Commander is a solution that allows you to securely manage and share information via intra/Internet with tools and features to help you manage one source of data, with searching tools and reproduction of reports and charts and more. Earth polis provides users with online access to geographic data at any time and from anywhere, allowing immediate imaging, analysis, and querying on them.